eMerchantClub’s yearly version updates ensure that your website will meet the ever-changing standards on the Internet, and your website will also continue to work with important websites like Google, Bing, Facebook, and more. Without these continual updates, your website will become obsolete in a matter of months! In addition to keeping your website’s external features current, the Version 19 update also gives you new and updated features to help your online business succeed. The new Version 19 Update is loaded with a full list of features, from essential web-wide updates so your website works well with other sites like Google and Facebook to an amazing new Blog feature for your store! We built the Version 19 update specifically for you and your business. We want to help you keep your online store on top, and this combination of behind-the-scenes and customer-friendly additions and changes are just what you need. The incredible new features bundled in Version 19 would cost you hundreds of dollars if purchased separately, but because we know how essential these upgrades are to your business, we added them to the Version 19 Update that will make essential changes to your website now and throughout the year. While we think antiques are great, having an antiquated website that’s even just 3 months outdated from the latest updates can cause you to lose business and profits. The new Version 19 Update will keep your website up to date with all the necessary security and technology advancements so your store works seamlessly with important websites like Google, Bing, Facebook, and beyond, plus new slider and banner images for your Magento store. But there’s more! Your Version 19 Update for your eMerchantClub Magento website comes with an AMAZING, fully customizable, easy-to-use Blog Feature you can use to attract more shoppers PLUS we’ll include your store’s first blog written by our professional marketing copy writers to get you started! Businesses that blog have 434% more indexed pages on search engines like Google. And companies with more indexed pages get far more attention and improve their search results! Small businesses that blog get 126% more attention from shoppers than small businesses that do not blog. 90% of consumers find blog content useful, and 78%believe that companies with blogs are interested in building good relationships with them. 81% of businesses consider their blogs as a “useful,” “important,” or “critical” asset to their business. 68% of shoppers are likely to spend time reading content from a brand they are interested in. Of people who are online every day, 65% of them read blogs. 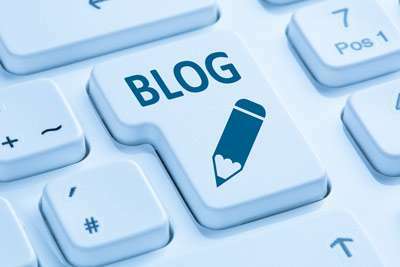 It could be YOUR blog! PLUS you’ll receive the Blog Feature that’s yours to use for the life of your website! The Version 19 Update is going to be an incredible perk for your business, thanks in part to the amazing Blog Feature that we’re adding to your store. This Blog Feature adds a whole new page to your store that is customizable and ready for your personalized blog content. Talk about the products your shoppers love, help your on-site SEO bloom, advertise sales and specials, and draw more attention to your store. The Blog Feature gives you endless possibilities to reach more shoppers and keep their attention, whether you write a blog and post it to your social media sites or target your SEO keywords on your weekly blog post. Climb in the driver’s seat to promote your store with this great Blog Feature that’s yours for the life of your website. Version 19 will add 10 new slider images for the top of your store for you to choose from. These sliders will feature new merchandise, trendy home decor that shoppers are searching for, and some of Smart Living Company’s best sellers that are always popular. 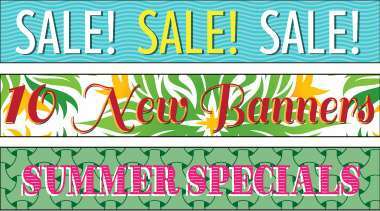 You’ll also enjoy 15 new banners for your site, from product images to promotional and holiday banners that you can switch out as many times as you’d like! These custom-made images for your site give you even more flexibility to make your store look great and promote the products you want to sell more of. Version 19 includes a free Smart Living Company Enterprise membership, giving you the biggest discounts on all of Smart Living Company’s products without the $39.95 start-up fee that other members pay. eMerchantClub will pay your membership fee every month for as long as your website is on the current version, hosting payments are up to date and your website is active. With V19, we will also pay your yearly membership renewal fee. Add it up, and this feature alone saves you nearly $160! With your Version 19 update, qualifying website models will be loaded with the current eCatalogs from Smart Living Company when the digital catalogs become available. Your website will showcase the Fall 2018 and Spring 2019 eCatalogs, and your customers will be able to flip through the pages of these digital books right on their computer screen. 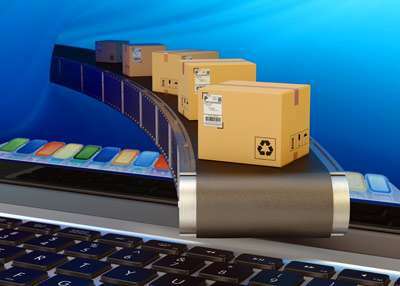 When they click a product they like, they will arrive on that product’s description page on your website. All they have to do from there is add it to their cart and check out! 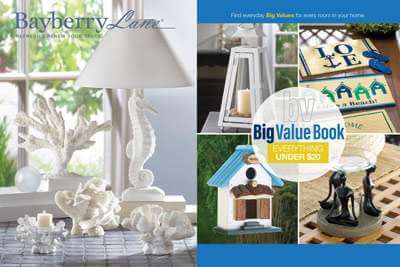 You will also be able to email pages from these catalogs to customers to encourage registered shoppers to click and buy. 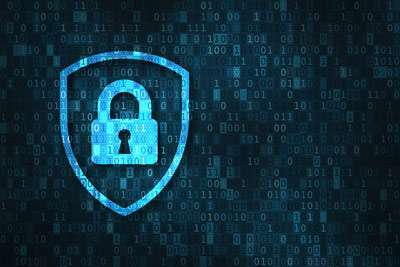 With your Version 19 Update, you get year-long security and technology updates that ensure your website keeps in step with the rest of the Internet. When important websites like Google, Bing, Facebook, eBay, and more make changes, we work diligently to make sure your website is right there with them. Your site will continue to work well with these other giants of the web, plus all security updates will be kept current. These updates happen all year long and absolutely essential to keeping your website on track for success. We work hard for your store all year long to make sure your site is up-to-date, secure, and working to Internet-wide standards. Some of the features listed above may not be included in your website package. All Non-Big Value Websites are automatically charged the annual update/maintenance fee on June 30th of each year, as agreed to in our Standard Membership Rules.